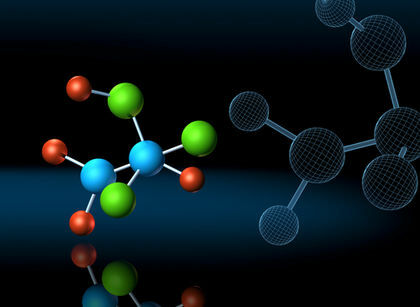 Home Scientific life new type atomic bond discovered!!!!! new type atomic bond discovered!!!!! Scientists have for the first time observed a weak atomic bond – in which an electron can grab and trap an atom – that was theorised 14 years ago. Researchers at Purdue University in the US observed a butterfly Rydberg molecule, a weak pairing of two highly excitable atoms that they predicted would exist more than a decade ago. Rydberg molecules are formed when an electron is kicked far from an atom’s nucleus. Chris Greene, Professor of Physics and Astronomy at Purdue, and colleagues theorised in 2002 that such a molecule could attract and bind to another atom. “For all normal atoms, the electrons are always just one or two angstroms away from the nucleus, but in these Rydberg atoms you can get them 100 or 1,000 times farther away,” Greene said. “Following preliminary work in the late 1980s and early 1990s, we saw in 2002 the possibility that this distant Rydberg electron could bind the atom to another atom at a very large distance. “This electron is like a sheepdog. Every time it whizzes past another atom, this Rydberg atom adds a little attraction and nudges it towards one spot until it captures and binds the two atoms together,” said Greene. A collaboration involving Greene and his postdoctoral associate Jesus Perez-Rios at Purdue and researchers at the University of Kaiserslautern in Germany has now proven the existence of the butterfly Rydberg molecule, so named for the shape of its electron cloud. “This new binding mechanism, in which an electron can grab and trap an atom, is really new from the point of view of chemistry. It’s a whole new way an atom can be bound by another atom,” Greene said. The researchers cooled Rubidium gas to a temperature of 100 nano-Kelvin, about one ten-millionth of a degree above absolute zero. Using a laser, they were able to push an electron from its nucleus, creating a Rydberg atom, and then watch it. “Whenever another atom happens to be at about the right distance, you can adjust the laser frequency to capture that group of atoms that are at a very clear internuclear separation that is predicted by our theoretical treatment,” Greene said. They were able to detect the energy of binding between the two atoms based on changes in the frequency of light that the Rydberg molecule absorbed. “It’s a really clear demonstration that this class of molecules exist,” he said. The findings were published in the journal Nature Communications. Scientists have for the first time observed a weak atomic bond – in which an electron can grab and trap an atom – that was theorised 14 years ago. Researchers at Purdue University in the US observed a butterfly Rydberg molecule, a weak pairing of two highly excitable atoms that they predicted would exist more than a decade ago. Rydberg molecules are formed when an electron is kicked far from an atom’s nucleus. Chris Greene, Professor of Physics and Astronomy at Purdue, and colleagues theorised in 2002 that such a molecule could attract and bind to another atom. Rydberg electron could bind the atom to another atom at a very large distance. “This electron is like a sheepdog. Every time it whizzes past another atom, this Rydberg atom adds a little attraction and nudges it towards one spot until it captures and binds the two atoms together,” said Greene. A collaboration involving Greene and his postdoctoral associate Jesus Perez-Rios at Purdue and researchers at the University of Kaiserslautern in Germany has now proven the existence of the butterfly Rydberg molecule, so named for the shape of its electron cloud. “This new binding mechanism, in which an electron can grab and trap an atom, is really new from the point of view of chemistry. It’s a whole new way an atom can be bound by another atom,” Greene said. “Whenever another atom happens to be at about the right distance, you can adjust the laser frequency to capture that group of atoms that are at a very clear internuclear separation that is predicted by our theoretical treatment,” Greene said. They were able to detect the energy of binding between the two atoms based on changes in the frequency of light that the Rydberg molecule absorbed. “It’s a really clear demonstration that this class of molecules exist,” he said. The findings were published in the journal Nature Communications.